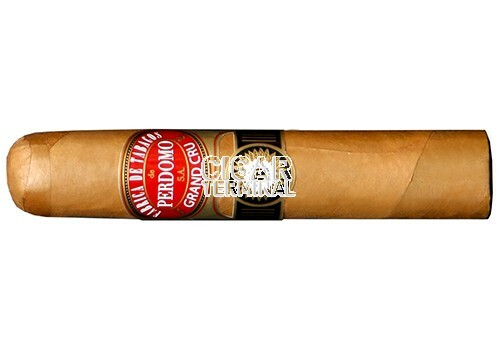 A classic Cuban-seed blend, Perdomo Grand Cru Robusto cigars (Connecticut wrapper) pay homage to the time honored traditions we take in manufacturing our cigars from start to finish. A classic Cuban-seed blend, Perdomo Grand Cru Robusto cigars (Connecticut wrapper) pay homage to the time honored traditions we take in manufacturing our cigars from start to finish. From the diligent management of our growing operation to the careful fermentation and sorting of each leaf, we use a very detailed aging process with these tobaccos in order to ensure that each leaf is at its peak of flavor.